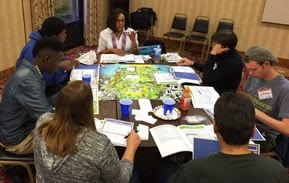 Lifeplan Institute | 10 Million Teenagers in 10 Years: Freedom Foundation Welcomes Lifeplan to Selma, Alabama! 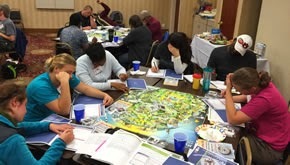 Freedom Foundation Welcomes Lifeplan to Selma, Alabama! Freedom Foundation volunteers and Lifeplan facilitators gather for a group photo at training. The Freedom Foundation was formed to promote unity and fight against segregation. Building on the work of Martin Luther King and others in the civil rights movement, the Freedom Foundation reaches out to communities in Georgia, Colorado and Alabama. 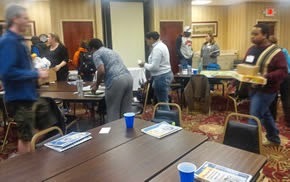 The Lifeplan Institute was invited to Selma, Alabama, to train volunteers to be able to facilitate the Lifeplan program. We led the training for almost 30 volunteers on Saturday, Nov. 1. We were very impressed with the Freedom Foundation volunteers and the depth of their work in very challenging environments. Their work in Selma, reaching out to the community and engaging young people in Random Acts of Theater Company is inspiring. College students from across the country come and tour Selma with the Freedom Foundation. It is our hope that Lifeplan will be one of the experiences they take home with them after their visit. We envision a time when these college students will take Lifeplan back to their campuses in communities planting the seeds for Lifeplan and enhanced civil rights. Our hosts, Ronald Smith and Gwen Brown, made us feel like family. They took us on a tour of his work sites and current challenges in Selma, and allowed us to experience the finest of the local barbecue. They also showed us an amazing documentary that has just been produced about their work with their Random Acts of Theater Company that will soon be available for public viewing. We heartily recommend that anyone who cares about youth see this film, “I Will Dance,” when available! We are grateful to Lorraine Pitts and Jesse Swan, Lifeplan facilitators from Georgia, for helping us conduct this training. “I am still in awe of the level of commitment and work by the Freedom Foundation and its volunteers," said Jesse. "Powerful training!" "The students participating in the training said it best: 'My Lifeplan is not cookie cutter.' "
We welcome our new Lifeplan facilitators to our community!